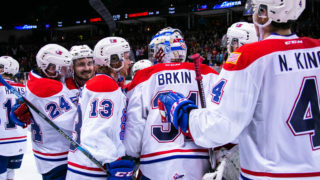 The Spokane Chiefs dropped their second straight game in Portland, as the Winterhawks scored 5 unanswered goals to win 5-1 Sunday night in Portland, OR. With the loss, Spokane remained in a second place tie with Seattle with 43 points, 2 ahead of Portland. 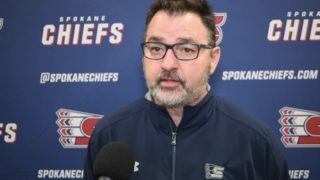 The Winterhawks have now won 4 of 5 from Spokane in the season series. 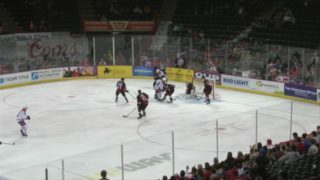 The Chiefs jumped out to a 1-0 lead on Dominic Zwerger’s power play goal just 1:42 into the game. Zwerger’s 15th goal of the year was assisted by Matt Sozanski and Jason Fram. Portland would even the game on their first power play of the night midway through the period. The Winterhawks would take the lead for good just 39 seconds later on a Skyler McKenzie goal. Portland would convert their second straight power play chance late in the first to take a 3-1 lead after the opening period. Dominic Turgeon’s power play goal midway through the second period would give the Winterhawks a 4-1 lead after two. Turgeon would cap the scoring with a short handed goal in the third as the Chiefs and Hawks each put up 31 shots in the contest. 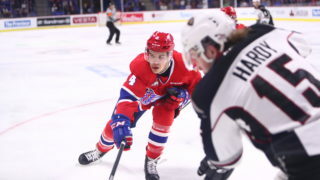 Spokane was 1-5 on the power play, while Portland went 3-5. 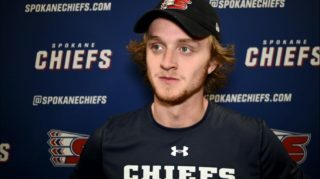 Spokane finished 1-3 on their 4 game road trip as they return home for a 4 game homestand beginning Saturday night at 7:05pm when the Chiefs host the Regina Pats. 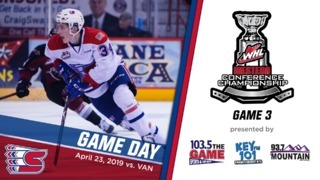 Mike Boyle will have the call on 790 KGA starting with the pre-game show at 6:30pm.